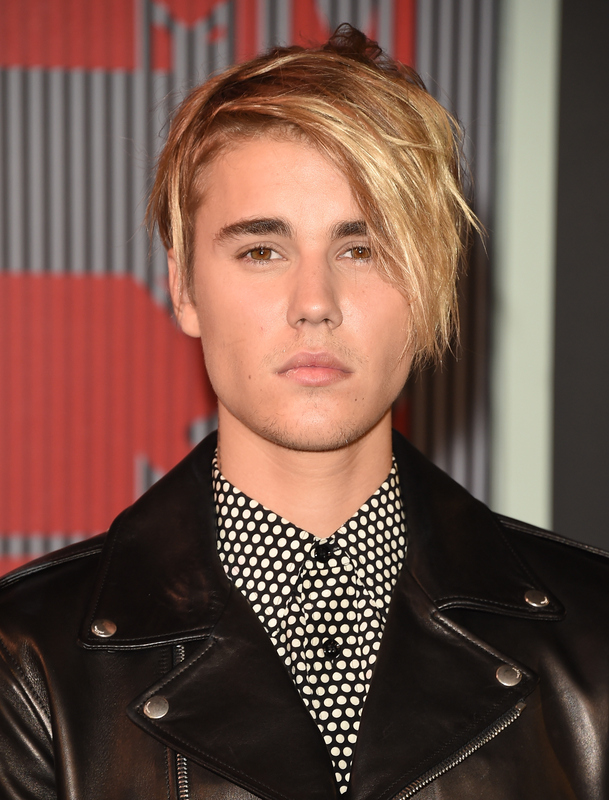 As a woman in my early 20s, I realized recently that I kind of missed out on the whole Justin Bieber thing. I was too old to see him as a pre-teen crush when "Baby" and "One Less Lonely Girl" came out, but still too young to have a real opinion about how he was ruining the 12-year-olds, or whatever. Basically, I was ambivalent about him, only paying attention when he got into trouble or made headlines with Selena Gomez. Yet "was" is the operative word; recently, I've actually started to have real, Bieber-centric thoughts: namely, how catchy, genuinely good songs like his newest one, "Sorry," have made Bieber seem like a bonafide artist, rather than just a tween pop sensation. And honestly, I'm not sure how I feel about it. Because while, as I said, I was never hugely opinionated about Bieber as a musician (as a person is another story — not OK with that DUI), I also don't know if I'm ready to accept him as a true adult singer, someone who I could potentially buy albums of or go to see on tour. In my mind, he's still Justin Bieber, the silly, trouble-making kid responsible for a few catchy songs, but mostly, just for inciting craziness amongst 11-year-old girls and tabloid magazines. And when I occasionally listen to one of his old songs like "One Time" or "Never Say Never," that's still what I hear; a highly-manufactured, pretty-voiced child clearly in way over his head. Yet lately, that's started to change; for the first time, I'm starting to see him as a real artist, someone with the potential for a long career and a serious reputation. Bieber's year-long image rehabilitation was a major part of it, of course; if he were still (at least publicly) trashing hotel rooms and peeing in buckets, and not showing what seems like real remorse, I wouldn't be taking him seriously whatsoever. In order to be treated as a mature musician, he needed to show that he was mature as a person, too; thankfully, over the last several months, he and his team have made an impressive, and successful, effort to show that he's improved himself in significant ways. And I believe it. But the main reason I'm now on-board with Bieber, the artist, is the music. Finally, he's making the kind of songs he probably always had in him, but never was given the chance to — or even knew how to — make. Bieber has always had a smooth, clean voice, and with the help of a talented group of collaborators, catchy hits came easy for him. Yet none of his previous songs were ever simply as good as his recent creations: "Where Are Ü Now," "What Do You Mean?" and, now, "Sorry." These songs are slick, well-made, and unlike anything else in current pop music. They're genuinely great songs, especially "Sorry," and they prove that Bieber is capable of much more than the bubblegum pop he's produced for years. If they'd come from a newcomer, we'd all be treating him like he was at the start of an incredible career. But it's still hard for me, as I'm sure it is for so many others, to wrap my mind around the fact that they're not the work of some newcomer, but Justin Bieber. His career has had so many bumps, his image has been so tarnished, that it's hard to respect him as an artist, no matter how much proof these songs provide. But single by single, I'm starting to believe it's possible that Bieber has finally grown up, at least musically — and if the rest of the songs on the upcoming Purpose turn out to be as good as "Sorry" and the others, there's a good chance I'll be won over completely. These past three songs have given Bieber a fresh start, the ability to make over his sound and re-introduce himself to audiences. By and large, it's worked; I know I'm far from the only person who has engaged in internal debate over where I stand Bieber-wise these last few months. And while I'm still not totally OK with the idea of Bieber as a genuine artist, I have come to terms with the fact that eventually, I'll get there. It might only take another hit single.